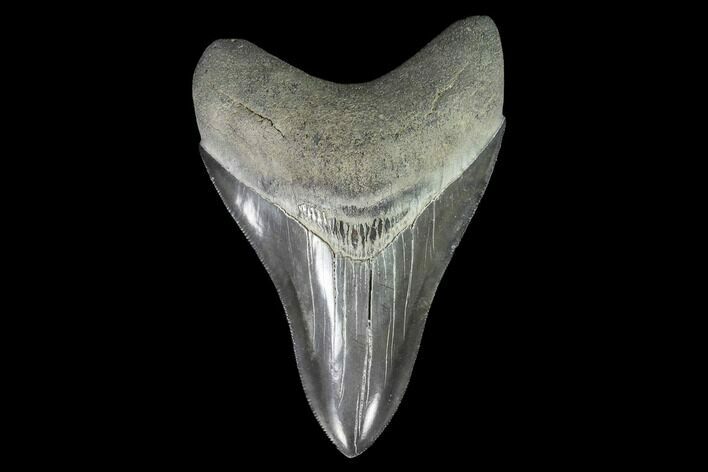 This is a serrated, 4.75" long, fossil Megalodon tooth collected from a river in Georgia. 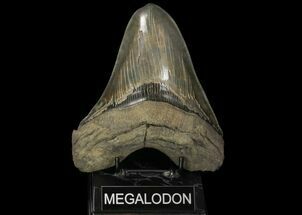 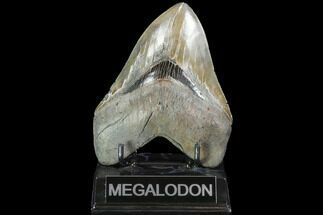 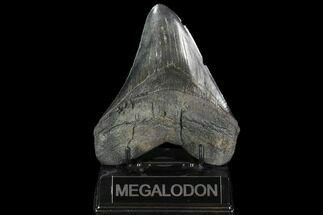 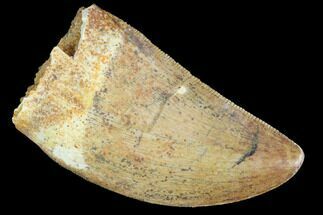 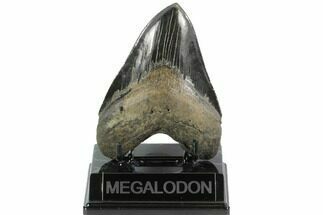 A tooth of this size would have come from a prehistoric, mega-shark in the 35-40 foot size range. 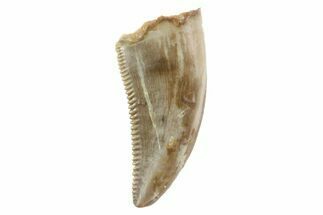 The tooth has a wonderful, glossy, grey enamel preservation with some greenish highlights towards the center fo the blade. 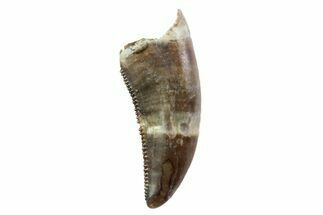 Nice serrations, minimal tip wear and a good root.